Roaring Fire that should warm you up! Fresh powder, sunshine and top to bottom sliding at Storey Arms today! I was there on Tuesday and whilst it was fun (Always is! ), I was debating coming back the next day because there was only 'a couple light snow showers' forecast. So thought i'd set my alarm nice and early and check twitter to see if there was any new snow in the usual places. 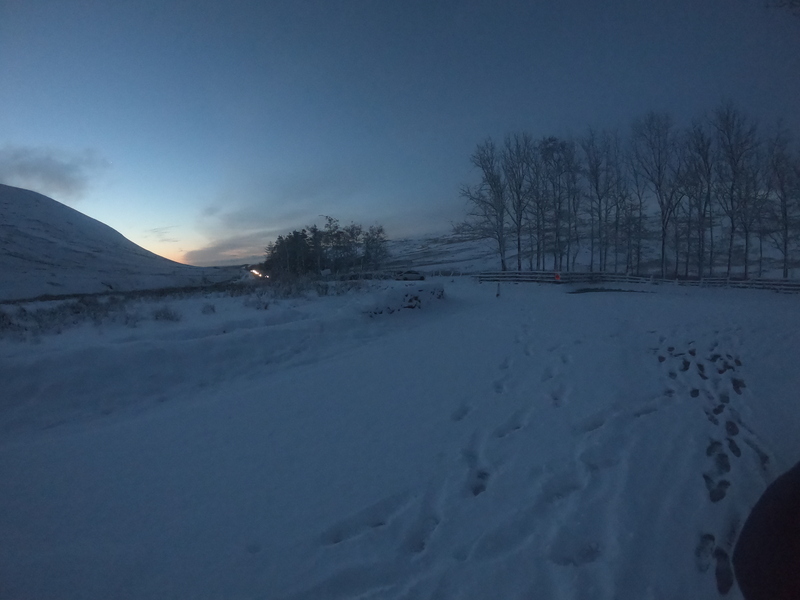 Turned out the A470 between Brecon and Merthyr was closed due to treacherous driving conditions.. so I headed straight for it! 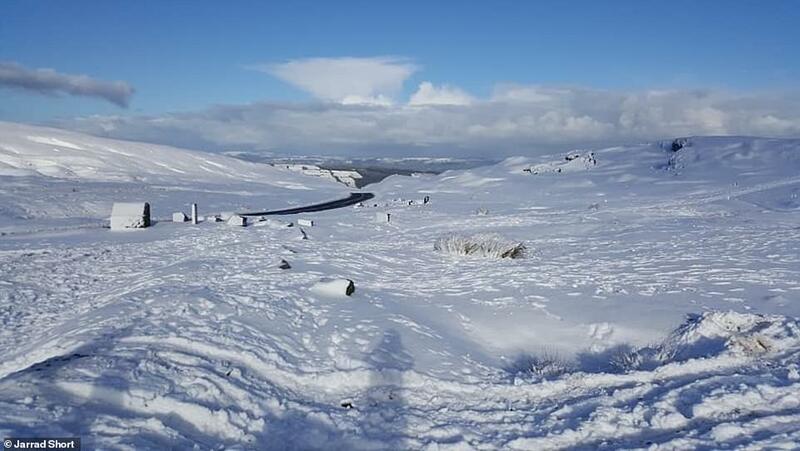 There was quite extensive snow cover as far west as Carmarthen but once I past Halfway (just outside Llandovery), it was starting to look like there'd been quite a heavy fall in the hills! Got to Storey Arms at 7.30 and I was expecting to see dozens of cars parked on the side of the road but there wasn't a person in sight! Looking very snowy from tomorrow onwards. Mild at the moment though. 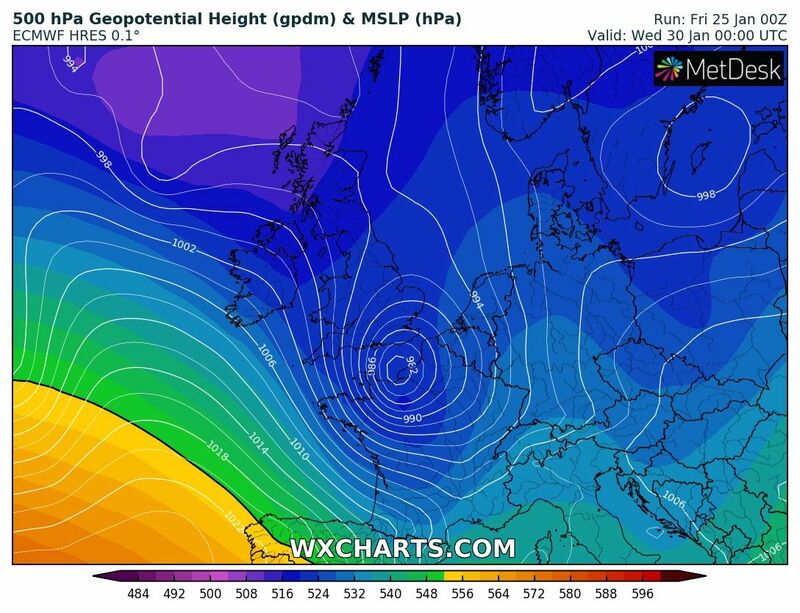 Looks like there could be some heavy falls on Tuesday and Thursday/Friday in the South down to pretty low levels. 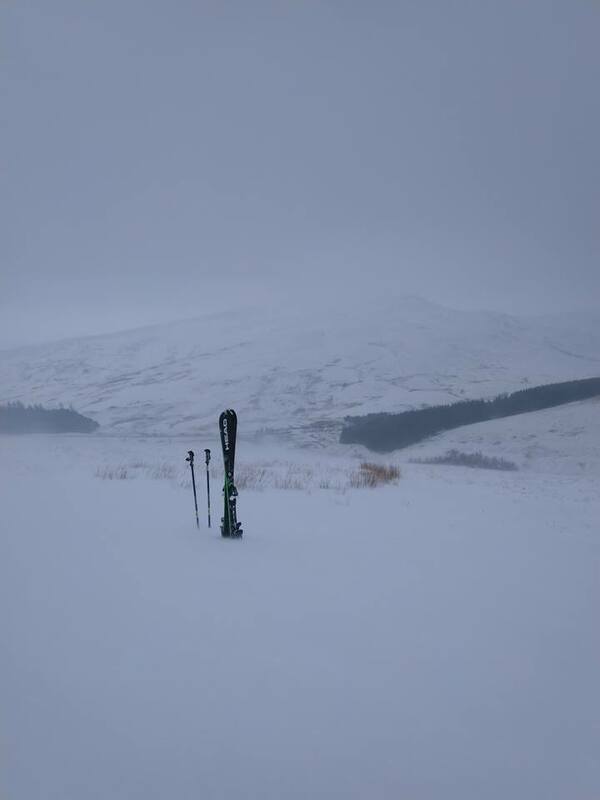 What's the best way to get to Storey Arms from the west when there's snow about? 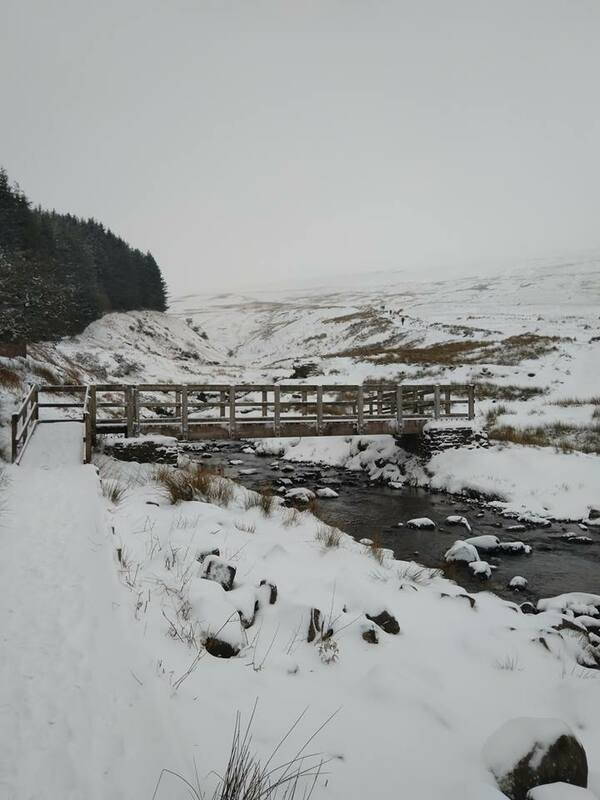 I usually go through Llandovery/Sennybridge but parts of that route look like a death trap in the snow! Is it better to take the big roads towards Hirwaun and go up through Penderyn? The Penderyn section is the worst in my opinion. 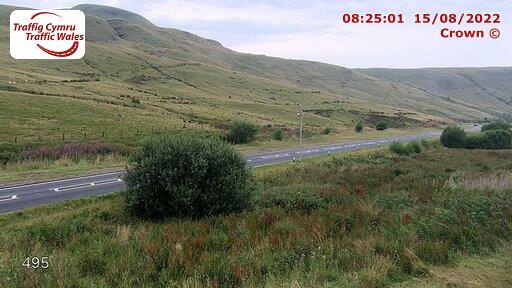 A465 to Merthyr, and then A470 to Storey Arms. What are the chances of a slide this week/weekend? I'm going to try Storey Arms tomorrow morning. Thursday looks like potential for even more snow so Friday/Saturday look awesome if it's not all blown off the mountain! That was 1pm this afternoon. Think they've had a bit more snow since but i'm not expecting it to be as good as last Wednesday because there's no base underneath the fresh snow this time. Snow still looks good for Thursday eve. Might have to take cheeky 'Holiday' day Friday and get up there early morning. Anyone else fancy it? 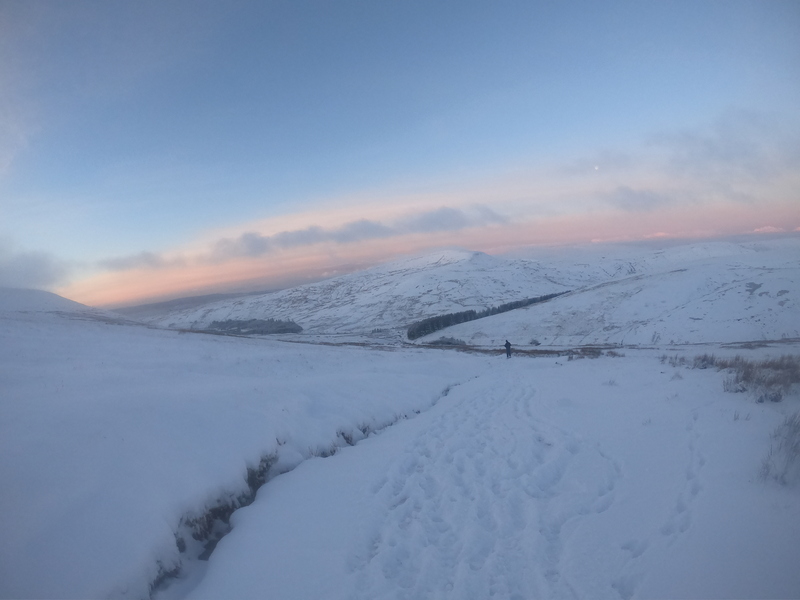 yeah, I regular skier/boarder up penyfan, looking to go up early Friday, live local in Merthyr so not far travel, should have a good base as well with the Tuesday fall sitting pretty up there. @Mouse555, hi mouse555, I think I recogonise them skiis, did I speak to you lower down slope near carpark, I had a border colly with me. Nice, give us the report if you can on your return on Friday! 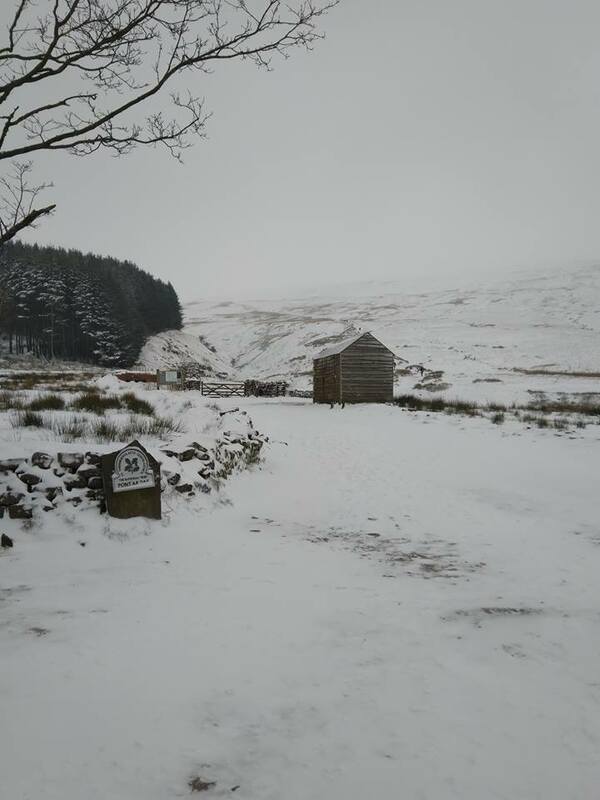 oh yes, 10 miles south of beacons, snow falling thick and fast, thinking the peaks will be packed with powder come morning. 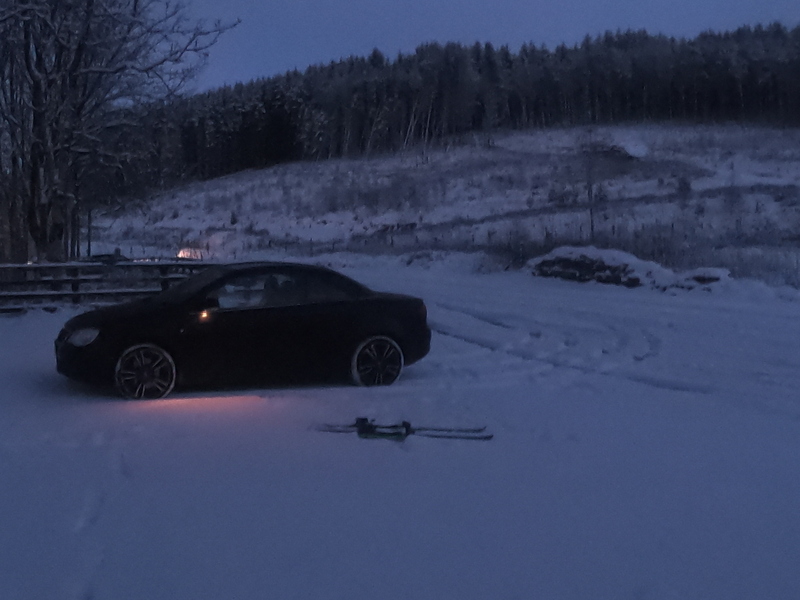 early start earning some turns I think. Goddamnit, knew I should have gone for the sicky today and not waited until tomorrow! Is that picture this morning? Bristol is still in a light snowstorm! Has been snowing since 9pm last night. 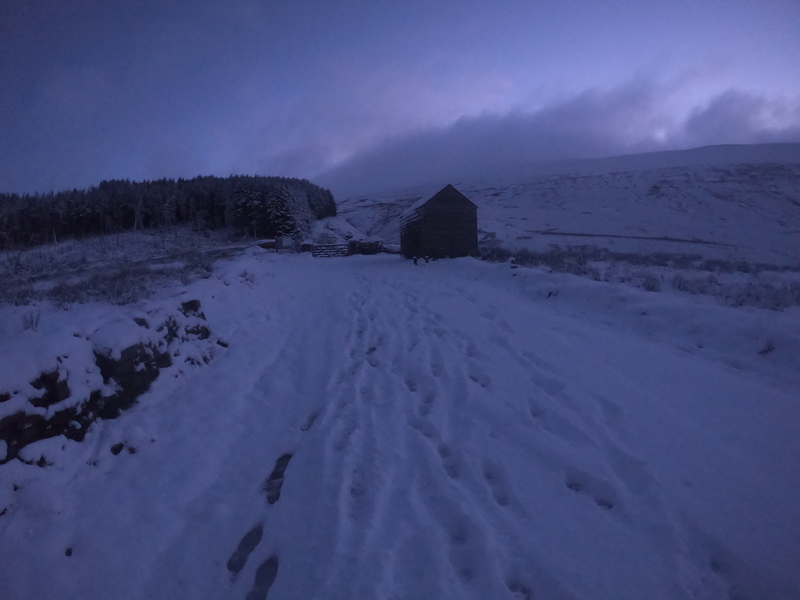 well, after good snow most of night, set off at nine this morning,. 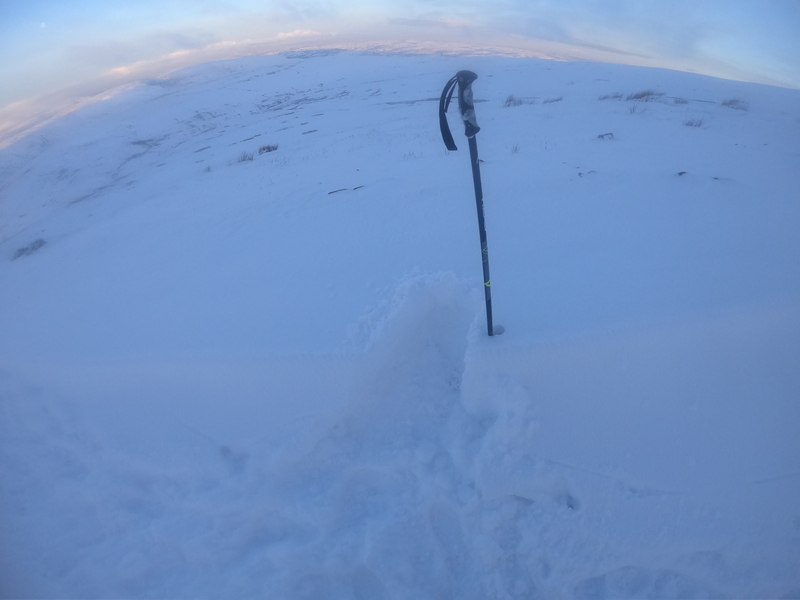 windy thus windswept snow, a good drift built up on side of path, so after reaching a windy first ridge, I kitted up and skied back down the path about 3/4 way, hiked back up, down again 3/4 way path then a traverse and through the rougher grasses, down to the bottom bridge. 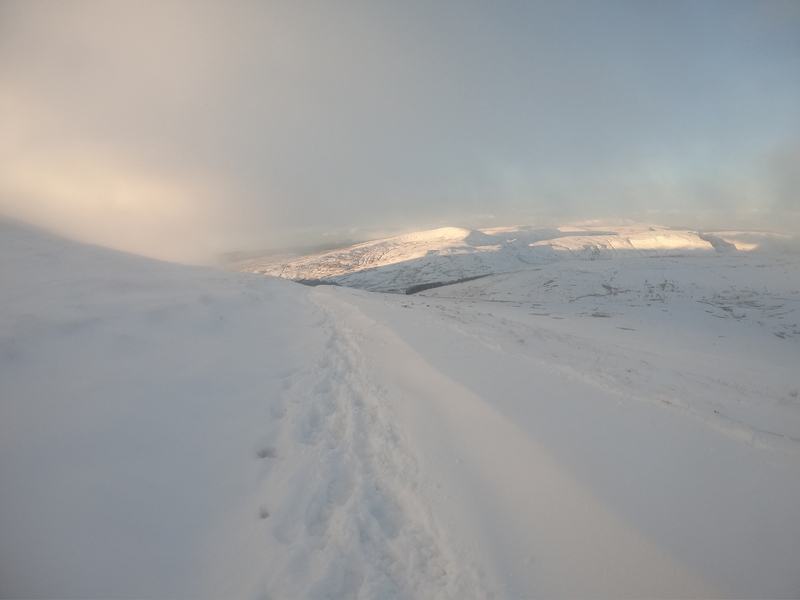 although not the snow I hoped for but a good day had. 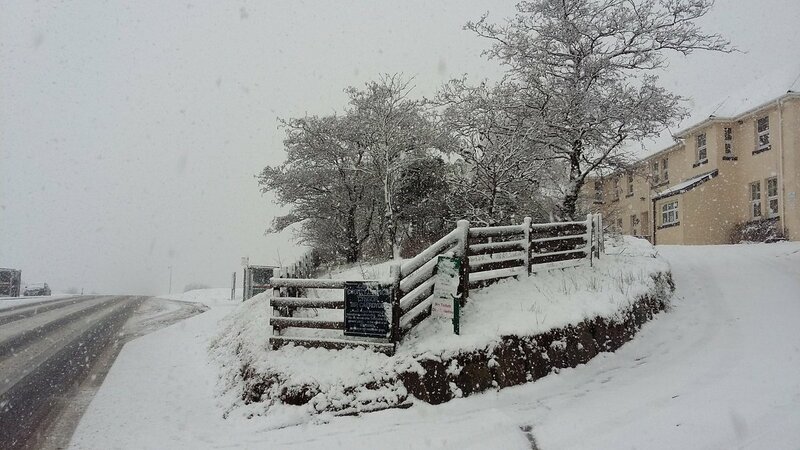 Not as much new snow as I was expecting but enough to get from top to carpark! Seems a lot more snow fell further south in Devon/Cornwall and possibly further east - Black mountains? Bumped into Stevie.J and there was a few other skiers/boarders up there as well. Great fun as always.. just a shame there's no lifts to take you back to the top I couldn't go Saturday which is a shame because I think the weather was a bit better. Looks like the next couple weeks will be fairly mild but we'll see! Has anyone got a recommendation for a car park that works for the black mountains (Waun Fach) and is accessible shortly after a dump? I was looking around Pengenfford. 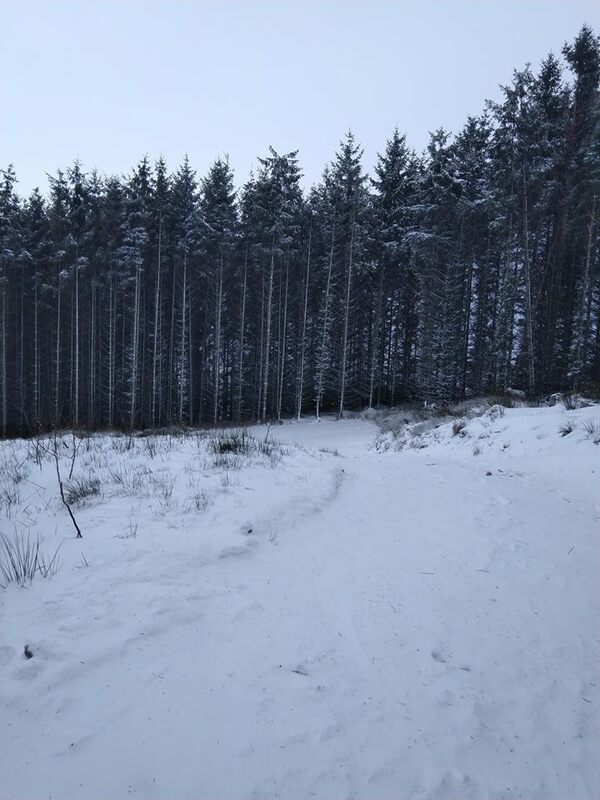 I'm guessing Gospel Path would need chains / winter tyres to reach. Lots of people out in North Wales this weekend. 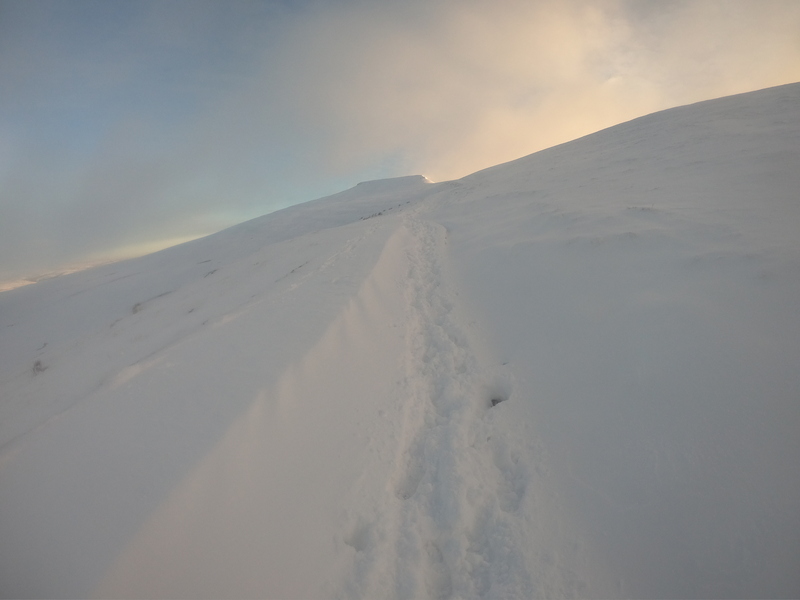 We headed up into Cwm LLoer on Carnedd Dafydd for a few turns on the east facing head wall of the cwm, a partial ascent of Y gully and a lovely skin up to the ridge of Cefn Ysgolion Duon and a lovely fast ski back down. It did involve a bit of combat skiing, a couple of stream crossings and some very wet feet. When do you get back Mike? @galpinos, Love it. Hope to do the same one of these days. Have skied from the ridge a few times but the steeper ground had never been on condition.